Welcome to Pilgrim’s Rock. Our online courses and resources are designed to strengthen your faith and encourage your comfort and joy in Christ through a clear presentation of the infinite excellence of God and the Gospel of Jesus Christ. Our desire is that you be captivated by His glory and immune to the unreasonable arguments of unbelief. 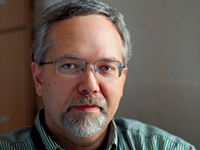 Mike Heiser is a scholar in the fields of biblical studies and the ancient Near East. 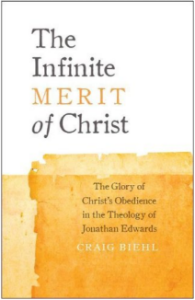 He is the Scholar-in-Residence at Logos Bible Software. Mike earned the M.A. and Ph.D. in Hebrew Bible and Semitic Languages at the University of Wisconsin-Madison in 2004. He has also earned an M.A. in Ancient History from the University of Pennsylvania (major fields: Ancient Israel and Egyptology). 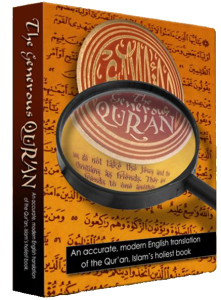 Translated by Usama Dakdok and an international team for scholars, this is THE ONLY ACCURATE English translation of the Qur’an available anywhere! Founded by Usama Dakdok in 2001, the Straight Way of Grace Ministry travels throughout the United States and Canada equipping Christians to be effective witnesses of Jesus Christ to their Muslim neighbors, as well as ministering to Muslims directly. Please look around the website. There are many resources available to Muslims to help them come to know the true Lord, Jesus Christ. If you are a Christian, you may want to learn more about the religion of Islam and how you might effectively reach out to Muslims with the word of our Savior. We believe that every American needs to learn the truth about Islam and how it is destroying the entire Muslim world and quickly infiltrating the West. 6. Highlights non-Arabic words and idioms in the Qur’an. This is Mike Riddle's main site. He has an excellent DVD series that I recommend. A good portion of his material is included in my book, Thanks for your permission, Mike. This book examines the claims of naturalistic progressive (macro) evolution and disassembles the theory one letter at a time. One of the best scientific examinations of the "molecules to man theory" I have ever read. One of the most thought-provoking books of our century, very well researched - a must read and is free on-line! See how science confirms Genesis History! Ice Age? Fossils? Animal Speciation? Dinosaurs? Anthropology? Sedimentary Rock? Distant Stars? Cavemen? 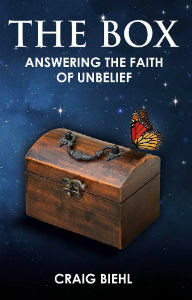 One of the most interesting and well researched examinations of the record of Genesis. There is also an interesting scientific theory on universe origins and scientific papers.